Garden centres have become a popular destination for shoppers not only in the summer month, but all year round. As an avid gardener will tell you , there is always something to do in the garden, even in the winter months. For Garden retailers this is good news, as it brings people into store for supplies and tools. Garden centres, like any other retail outlet, are always looking for new and interesting ways to tempt visitors into spending that little bit extra. 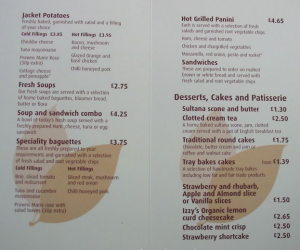 Static paper based ads usually display advertisements for plants and necessary tools and equipment, but these can be time-consuming to change especially with ever changing in-store offers and expensive to print if updated regularly. 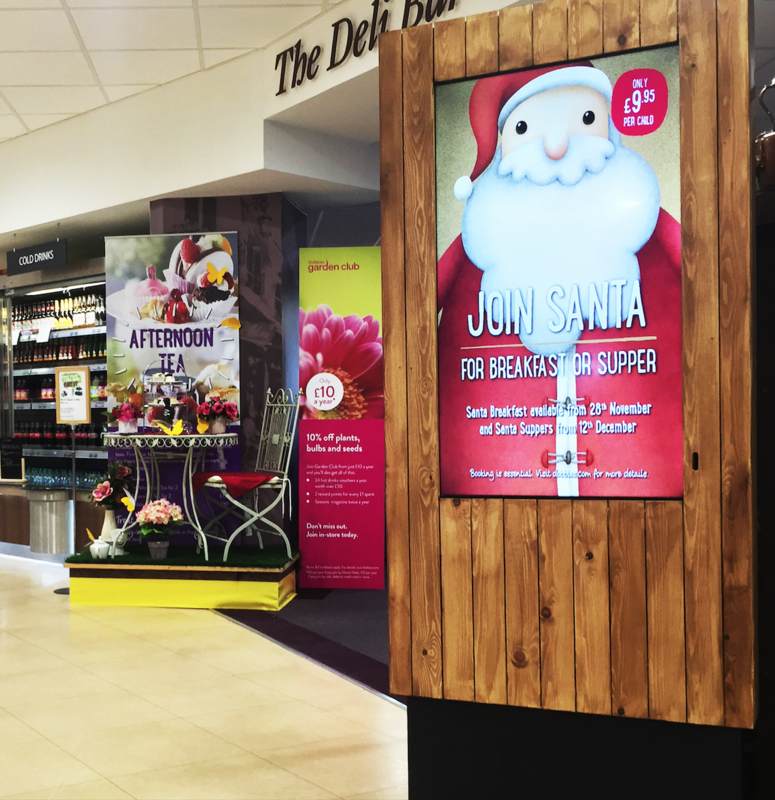 Enter digital signage, with its high impact, low cost and green credentials. With correct placement both indoor and outdoor, digital signage can create dynamic, engaging content that customers are attracted to. Installations at the entrance provide information on facilities found in-store together with the latest offers. 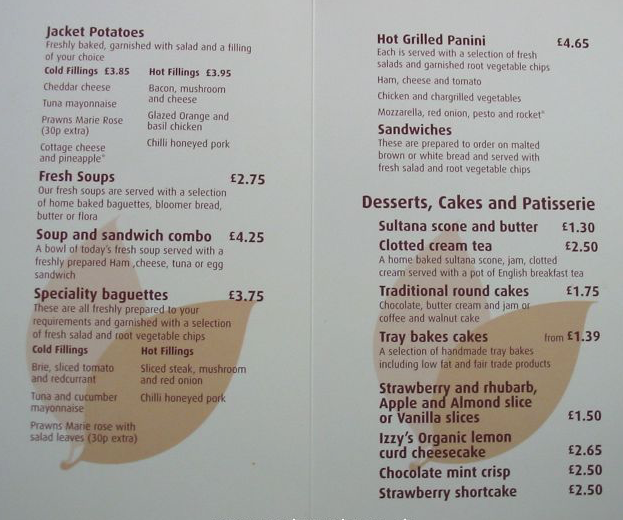 Coffee shops display mouth watering cakes and meal deals and specialist demo areas highlight how-to’s and top seasonal tips. Digital signage content can be controlled from one central location. this can be easily be updated ensuring that screens are always kept up fresh. With cost savings in printed materials and staff time saved in posting, installing a digital signage solution make green sense. One system provider is removing the standard LCD screens looks and transforming them into items that look more at home in the environment they are placed. 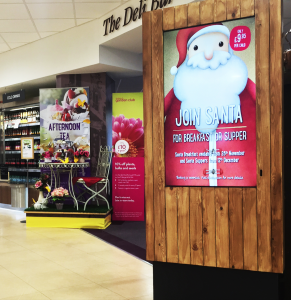 Review Systems, based in Lancashire, have installed a number of digital signage installations across the UK for brand leaders in the gardening sector. Their innovative wrap designs take away the harshness and compliment the surroundings. Too many companies just place screens in places without any thought given to location or aesthetics. Review Systems have tackled both head on, getting screens in places of prominence and high dwell areas, like Coffee Shops. This attention to detail generates the greatest impact, yet providing a sympathetic approach to its surroundings. Touch screen technology has allowed for the addition of interactive content. Review Systems in conjunction with Joy of Plants have introduced “Plant Finder” an interactive experience that makes find finding that perfect plant for you garden much simpler. Detailed information on over 14,000 plants can be found on the Joy of Plant application. Below is a video courtesy of Joy of Plants previewing the Review Systems application in action. Please contact Review Systems on 01772 933119 or via email at info@reviewsystems.co.uk. To find out more about digitalsignage.NET digital signage solutions please visit our website or Contact us here. This entry was posted in Digital Signage, Retail and tagged cloud based digital signage, Digital advertising, Digital signage retail, digital signage software, retail digital signage by Dynamax. Bookmark the permalink.